Don’t you deserve to love your smile? Modern cosmetic dentistry can make you look years younger in as few as one or two visits. If your teeth have tarnished over the years, or if you’ve always wanted shapelier, bolder, more perfectly aligned teeth, schedule a cosmetic dentistry consultation appointment at the dental office in North Andover of E. Charles Beliveau, DDS. Years of experience and extensive postgraduate studies have given Dr. Beliveau an excellent eye for esthetics, as well as exquisite talent when it comes to cosmetic restorations. We offer a variety of cosmetic dentistry services to create flawless smiles for almost any patient, so don’t hesitate to contact us to learn more or schedule or schedule your consultation. We look forward to hearing from you. Why choose Dr. Charles Beliveau for Cosmetic Dentistry? If you’re ready to improve the appearance of your smile, you can trust North Andover cosmetic dentist, Dr. Beliveau to deliver dentistry services that meet your needs and exceed the highest expectations. Dr. Beliveau has dentistry in his blood. His father was a dentist who served North Andover families for generations. After completing his own doctoral work in dentistry, Dr. Beliveau practiced dentistry alongside his farther before opening his first private practice in 2006. For decades, dental patients in North Andover and surrounding communities have relied on Dr. Beliveau for all of their dental care needs, including cosmetic smile makeovers. In addition to his doctoral work and experience working in the dental field, Dr. Beliveau has completed numerous prestigious continuing education courses, including studying through the Dawson Institute, Pankey Institute, and Spear Study Club, making him an ideal practitioner to deliver exceptional cosmetic dentistry services to create a smile you’ll be proud to share. After your personal cosmetic consultation, Dr. Beliveau will design a customized treatment plan that meets all of your needs. He’ll explain how each procedure will contribute to a gorgeous smile that’s uniquely yours. If you have questions, please ask. By thoroughly understanding your cosmetic treatment plan, you will have peace of mind about the anticipated results. Nothing should come between you and your ideal smile. A smile makeover will renew your youthful appearance, as well as your self-confidence! You’ll feel empowered to pursue new heights in social, professional, and romantic pursuits. Don’t you deserve to love your smile? The answer is yes! We offer convenient, affordable financing, so be sure to ask about CareCredit if you’d like payment options. 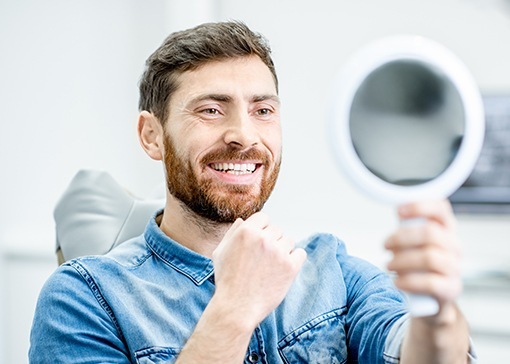 At your appointment, the doctor will sit down with you to talk about your smile…what you like, what you don’t like, and which cosmetic dentistry procedures can deliver the results you want. To correct and conceal numerous cosmetic flaws in just a few, short dental office appointments, porcelain veneers may be the best options. These custom cosmetic restorations are crafted to affix to the front surfaces of teeth, creating a beautiful smile that will last for years with proper care. If a brighter smile is on your wish list, let Dr. Beliveau and his team help. Where store-bought teeth whitening products fail, our professional options deliver predictable results with smiles up to ten shades brighter. 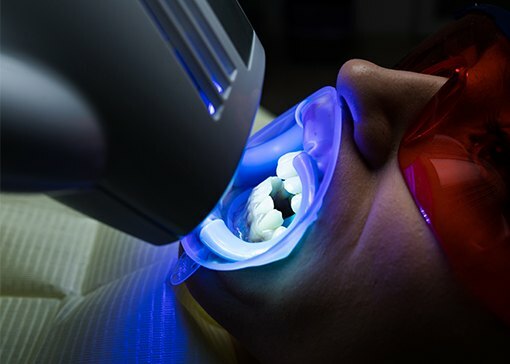 For minor dental irregularities like deep-set staining, chips, and cracks, tooth-colored fillings crafted from custom-shaded composite resin can perfect and enhance your smile. Sometimes referred to as dental bonding when used for cosmetic treatments, tooth-colored fillings can be placed in just one appointment, and they allow us to preserve the maximum amount of healthy tooth structure. Dental crowns are typically considered a restorative dentistry service. 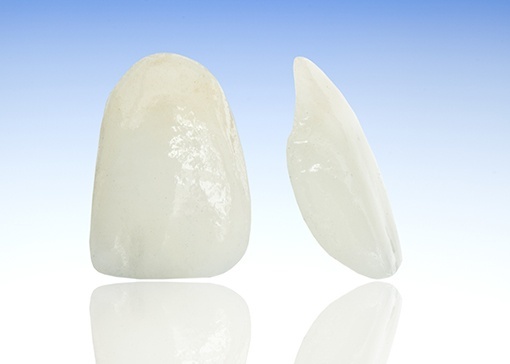 However, we can also use all-ceramic crowns to improve the appearance of broken, misshapen, or otherwise flawed teeth. Following tooth loss, there are many ways to replace missing teeth. Traditional tooth replacement options only replace the visible parts of teeth, but dental implants allow us to restore the roots of missing teeth as well as the portions of the tooth visible above the gum line. These prosthetic tooth roots can be positioned to support any number of missing teeth from single implant supported dental crowns to full implant-retained dentures.